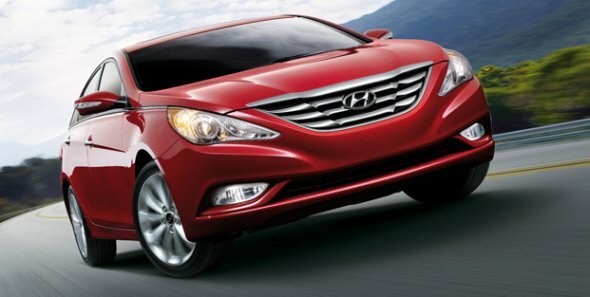 Hyundai apparently is planning to launch a diesel version of the Sonata sedan by the end of the year. According to Motorbeam, Hyundai has already begun testing of the diesel Sonata at their Chennai facility and the car has been seen sporting a CRDi badge. It will be interesting to see a diesel Sonata as it will attract more buyers thanks to the lower running costs of diesel. However, the initial purchase price will be at least Rs. 2.5 lakh to Rs. 3 lakh higher, given the additional taxes likely on diesel vehicles. The Sonata diesel will likely be offered in manual and automatic variants. Also read: Variants and prices of the new Hyundai Sonata across five major Indian cities! Hyundai had launched the 2012 Sonata at Rs. 18.52 lakh for the manual variant and Rs. 20.61 lakh for the automatic variant. The Sonata petrol is powered by a 2.4-litre GDI (Gasoline direct Injection) petrol motor with Dual Continuously Variable Valve Timing (D-VTVT). The engine puts out 198 bhp (201 PS) of power and 250 Nm of torque. The diesel powered Sonata will likely be priced between Rs.21 lakh to Rs. 23 lakh (ex-showroom, Delhi), depending on the variant and the features offered. The luxury sedan may sport Hyundai’s 2.2 litre diesel engine that powers the Santa Fe and some of its models abroad. This engine makes 197 bhp of power and churns out 436 Nm of torque. It is also a more contemporary engine as it uses a third generation common rail direct injection (CRDi) system from Bosch. The engine will likely be silent and smooth to compete with other cars in the segment that offer good sound insulation, something that buyers in this segment expect. Hyundai’s new fluidic design has worked well for the company and the Verna has become quite popular. With a diesel engine on offer at a competitive price the Sonata too may see some decent sales figures and give the Skoda Superb, the present segment leader, a run for its money.